Under heavy fog, a passenger ship crashed into a dry cargo vessel near Salac?k on the coast of the Bosphorus yesterday, leaving one man dead of head injuries and another 42 with injuries. At approximately 2:40pm yesterday, the Urfal? 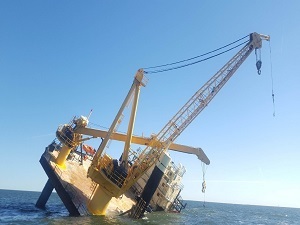 Cemal, a passenger ship steered by Sedat Sar?ibrahimo?lu, collided with 52-metre cargo vessel Adil Kaptan, a 472 tonne sand carrier steered by Ahmet Yürekçi. 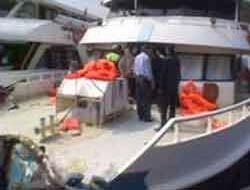 Leaving from Eminönü and taking advantage of IDO’s (Istanbul Sea Buses) cancellation of all sea journeys, the passengers on the 40 metre-long passenger ship were thrown off balance, resulting in 1 death and 42 injuries. Investigators believe the ferry was over capacity. 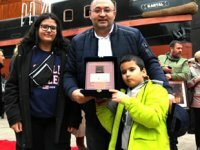 Kartal Steamboat Delivered to Turkish Naval Forces107 years old Kartal Steamboat, which took its cue from Mustafa Kemal Atatürk, The Great Founder of Republic of Turkey, for turkish war of independence; is delivered to Turkish Naval Forces, with the keel-laying ceremony. 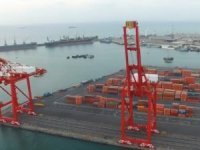 English High Court Continues Djibouti Port Company RestraintThe High Court of England and Wales in London has continued the injunction first made on August 31, 2018 prohibiting Port de Djibouti S.A. (PDSA) from interfering with the management of Doraleh Container Terminal S.A. (DCT). 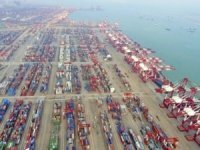 Trump: Tariffs on All Chinese Goods "Ready to Go"On Friday, President Donald Trump announced the possibility that he will impose tariffs on all remaining Chinese-made products imported into the United States. 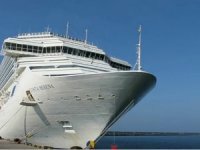 Carnival Maritime Strengthens Cooperation with WISTAThe German branch of Women’s International Shipping & Trading Association (WISTA) elected a new board of directors at the beginning of July. Date Set for Next Gulf of Mexico Oil and Gas Lease SaleU.S. 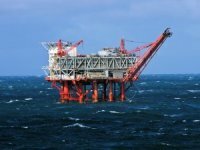 Deputy Secretary of the Interior David Bernhardt has announced that the Bureau of Ocean Energy Management (BOEM) will offer approximately 78 million acres offshore Texas, Louisiana, Mississippi, Alabama and Florida for oil and gas exploration. 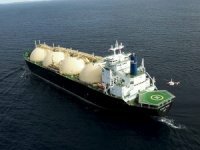 Total Closes USD 1.5 bln Acquisition of Engie's Upstream LNG BusinessTotal announces the closing of the acquisition of Engie’s portfolio of upstream liquefied natural gas (LNG) assets for an overall enterprise value of $1.5 billion.